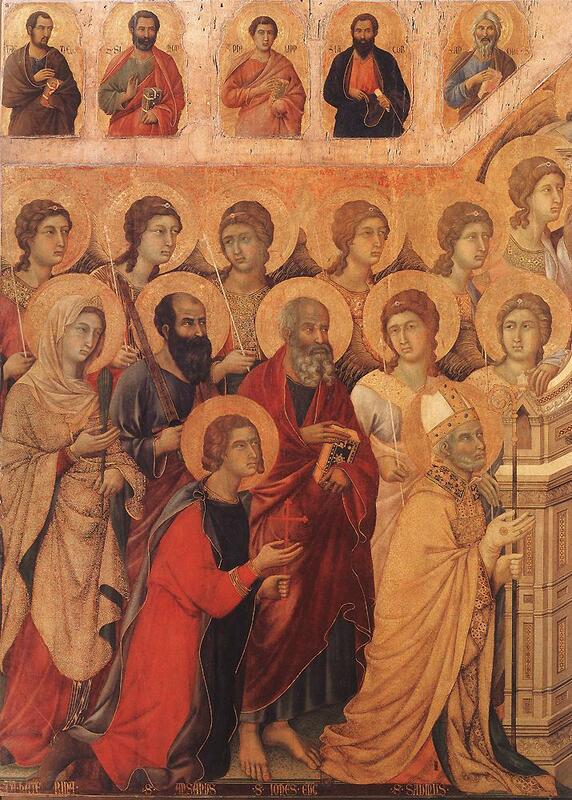 Today, we continue our Easter season reading of the Acts of the Apostles. This passage brings us back to the beginning as Peter and the others pray and draw lots in order to replace Judas, and reconstitute the Twelve. The passage is sometimes entitled “the election of Matthias,” but this is something of a misnomer. This event is directed by the Lord from start to finish. First, it has been foretold in Scripture and forms part of God’s plan. Second, the fledgling community chooses the candidates after seeking guidance in prayer. Finally, they leave the decision itself to the drawing of lots. In the Old Testament tradition, making a decision by drawing lots meant leaving the decision to God. Although here, when they pray before casting the lots and address the “Lord, who knows the hearts of all,” it appears that they are addressing Jesus as Lord. In the Acts, the Risen Jesus who reigns in heaven does all that the Lord God does in the Old Testament. In this case, the Risen Lord Jesus is paving the way for the preaching of the Gospel to Jerusalem and the world. In Luke’s Gospel, Jesus prayed for Peter at the Supper that his faith would not fail and that once he has turned back from the predicted betrayal, he would strengthen his brothers. Jesus’ prophecy is now fulfilled as Peter does just that. The choosing of Matthias restores the Twelve and enables the first stage of witness to Jesus: the mission to Jerusalem and the Jewish world. This unique establishment of the Twelve will not be repeated and this literal group of Twelve ceased to exist after this first stage of the Christian community. Nevertheless, their restoration is one of the first steps in creating a lasting body, the Church, guided by the Spirit and charged with the mission of witness to Christ. The passage from John forms part of a lengthy and deeply moving address of Jesus to his disciples at the Last Supper. In various parts of the address, Jesus prepares them to experience the events of his passion. He reminds them of his unique relationship to the Father and invites them to the same intimacy by uniting themselves to the Father through the Son. He offers them his legacy of selfless and transforming love and urges them to imitate that love. He promises to be present to them in a new way through the Holy Spirit. And in this chapter, he prays for them. He knows that his departure will be devastating for them. He also knows that even after the resurrection, they will experience rejection and persecution because they represent the One who was rejected and persecuted. Verbally, he holds them close and holds them up to the Father. By the time the First Letter of John had been written, the prophecy had become reality. The community suffered the same kind of misunderstanding and rejection as had Jesus. And they faced a new challenge- division within their ranks. Some of the original community became enamored of the philosophical movements of their day and became dissatisfied with the portrait of Jesus presented in the gospel. In this context of outside rejection and internal strife, the First Letter of John appeals to Jesus’ gift of love as a test of authentic Christian life and as an essential means of strengthening and unifying the community. Perhaps the most surprising aspect of God’s plan of salvation is that God elects, through Jesus, flawed human beings to serve in the continuation of the Savior’s mission. I wonder if we really appreciate the gift offered and the confidence God demonstrates in our frail capacity for love. Why is it so easy to see the flaws and humanity of Christ’s Church and so hard to recognize the authentic holiness? It seems to me that the contemporary Church faces a new challenge: a form of discouragement in which we fall into cynicism and self-loathing. Yes, the Christian community must always be rigorous in repenting of individual and communal sins. Nevertheless, this genuine sense of sin must be balanced by hope and an appreciation of the fundamental goodness that God instills in his people. Christ has chosen us as his own and for the sake of the world. We are the Elect – not grounds for boasting, but very clear grounds for gratitude to God. The remarkable truth is this: when we pick at the wounds of the Church, it is Christ who bleeds.